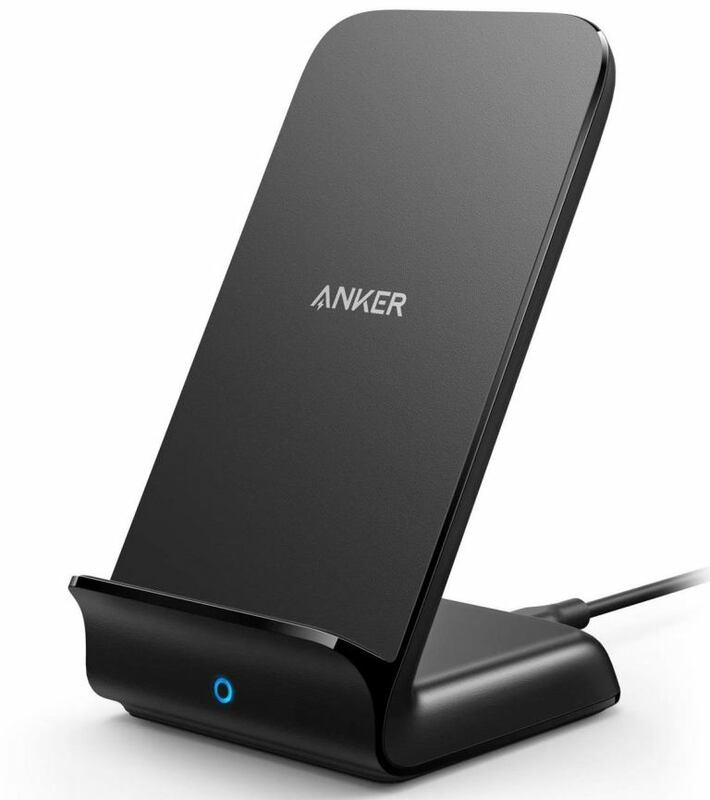 The Anker PowerWave is a Fast, universal, high-speed Wireless Charger Stand certified to charge all Qi-compatible devices at their maximum speeds. 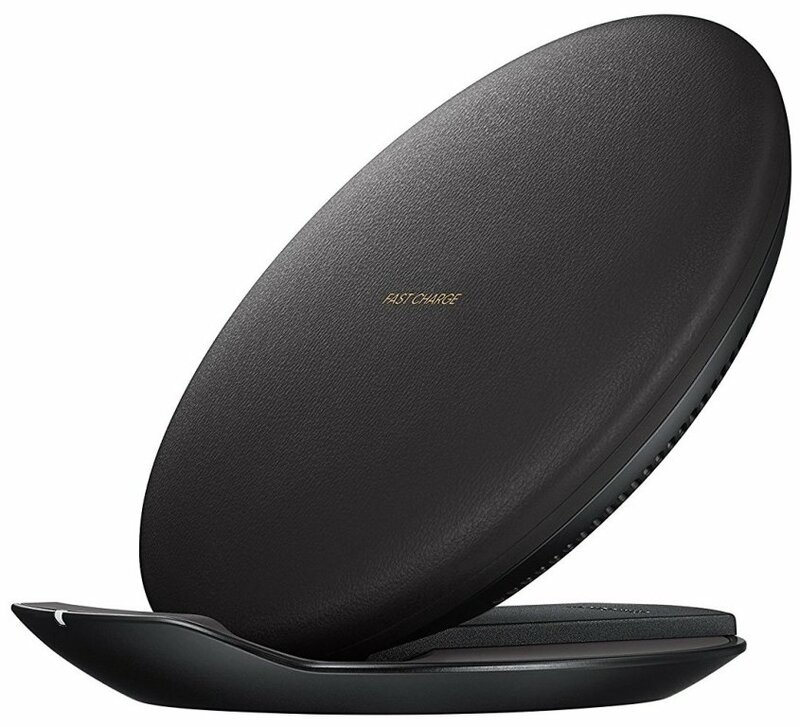 In fact, this wireless charger is equipped with twin charging coils that facilitate for horizontal or vertical placement for optimized video viewing while its case-friendly designed allows for transmission of power straight through the heaviest or hardest protection phone cases and it also features a superior-safety design that facilitates for overcharging protection, foreign object detection and temperature control so that you can always charge with total peace of mind. 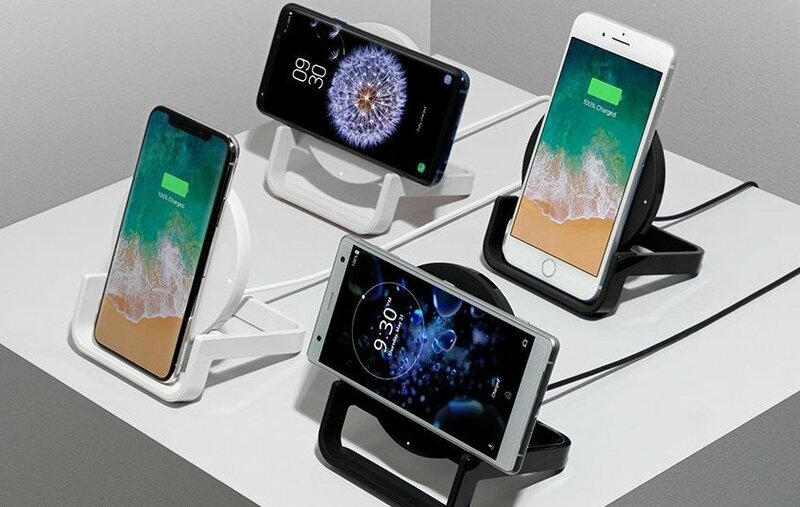 On the other hand, this wireless-charger stand features a 6 ft PowerLine Micro USB Cable and it can power any wirelessly-charged device in your arsenal at an uninterrupted 5Watts or boost the charging-power to 7.5W for iPhone and up-to 10W fast charging for flagship Samsung phones. All in all, the Anker PowerWave uses a high-efficiency chipset to provide high-speed wireless charging for all Qi-compatible devices. A universal, high-speed & wireless charger. Certified to charge all Qi-compatible devices. Twin charging coils to enable horizontal or vertical placement. Powers any wirelessly-charged device at an uninterrupted 5Watts. Uses a high-efficiency chipset to provide a high-speed wireless charge. Transmits charging power directly through any protective cases (up-to 5mm thick). It ensures overcharging protection, foreign object detection & temperature control. Charging power is boosted to 7.5W for iPhone & 10W fast charging for Samsung phones. This is a Samsung Fast-Charge Wireless Charger designed to charge all Qi-compatible Smartphones including; iPhone and Samsung. 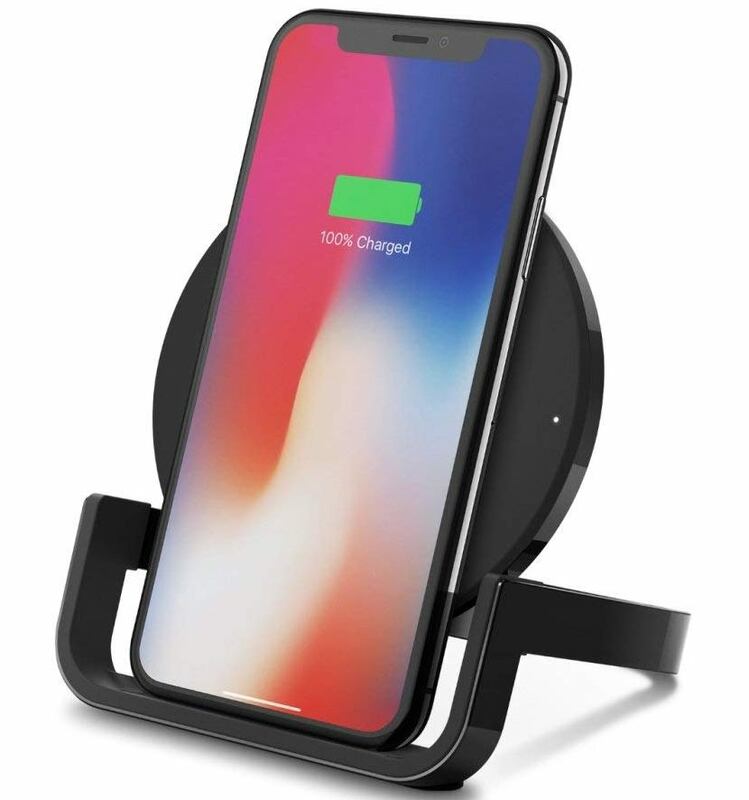 This wireless-charger features a built-in cooling fan that helps to keep both the phone and charger cool when charging while its Convertible Stand/Pad design allows for easy conversion from a pad to stand. On the other hand, this wireless-charger is compatible with devices with up to 9-watt wireless charging power which is 1.8x more power output than standard wireless charging. 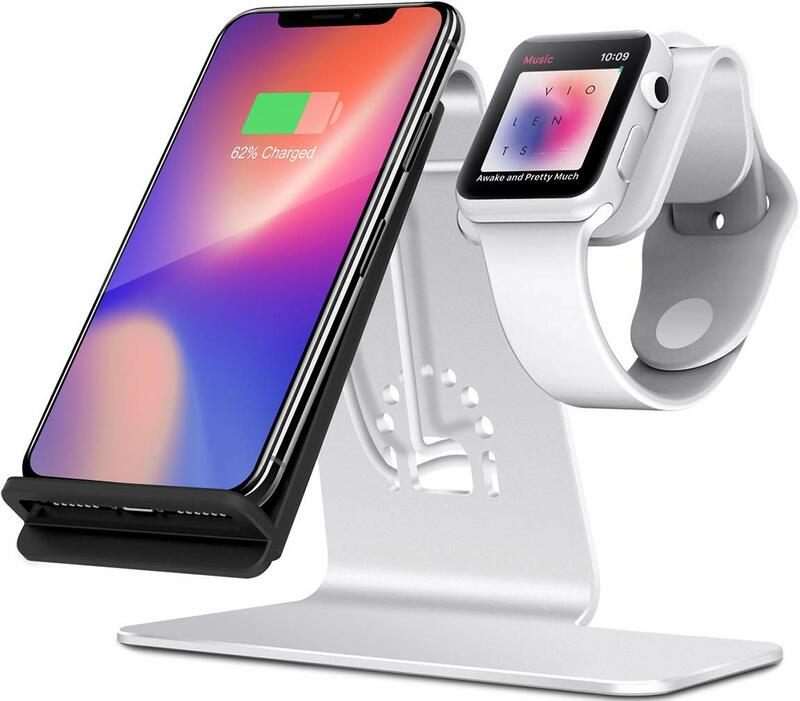 Additionally, this wireless charger stand has been tested and certified by the Wireless Power Consortium to be compatible with all Qi-certified devices and this charger-stand can also be used to read notifications or take calls without interrupting charging. It’s a Samsung Fast Charge Wireless Charger. A Built in fan to cool your phone during fast charging. Supports wireless charging on Qi-compatible Smartphones. Easily converts from a pad to stand for convenient charging. Provides up to 9-watt wireless Fast Charging on selected Smartphones. Multiple charging coils for easy landscape or portrait device orientation. It can be used to read notifications or take calls without interrupting charging. It includes Fast Charging Wall Charger with USB-C (Type-C) Cable for fast charging on selected devices. 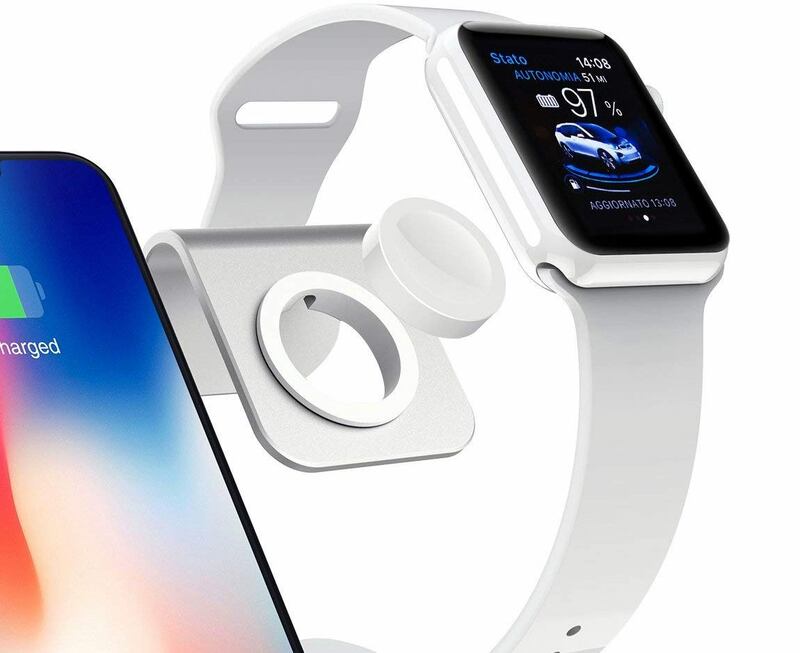 The Bestand is a 2-in-1 Phone Wireless Charging Stand and Charging Stand Holder for Apple-iWatch in-order to facilitate for convenient and easy charging of all your smartphones devices. In fact, this is a 2-Coil wireless charger that facilitates for fast charging of smartphones in-order to save you time while its Anti-slide, stable and fashionable design ensures that your phone doesn’t drop when charging. 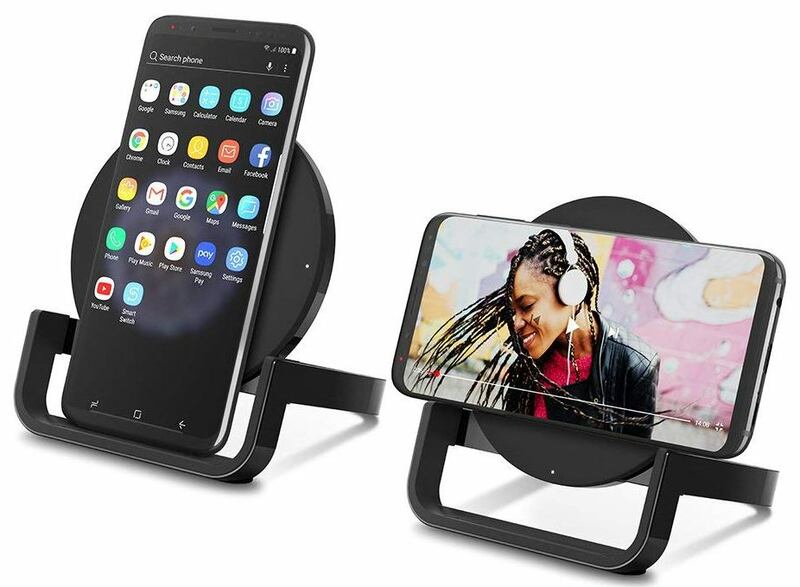 On the other hand, this wireless-charger is made of high quality aluminium that makes it very durable for daily use and it will also enable you to place your phone either vertically or horizontally when charging so that you can enjoy watching movies or when reading. 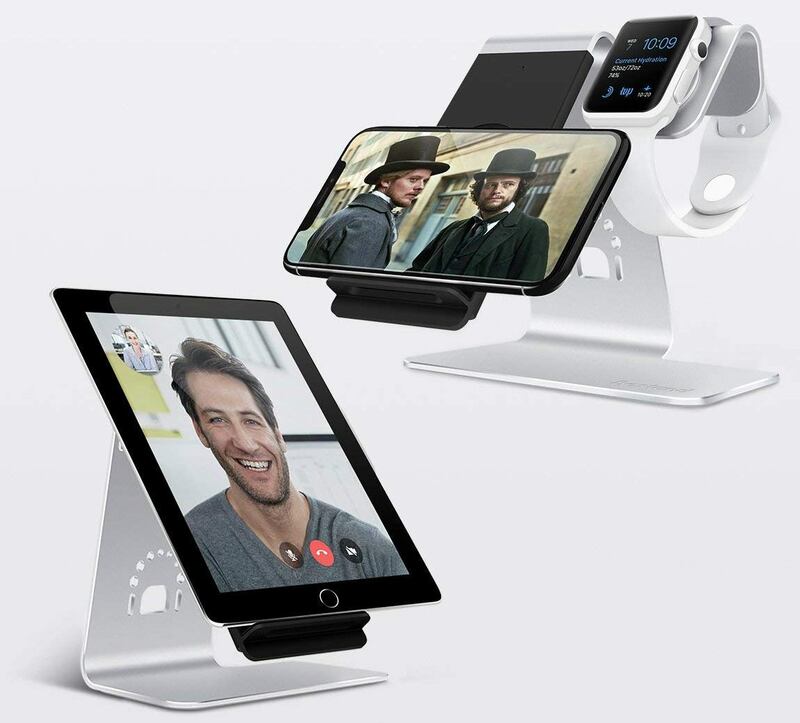 Lastly, the Bestand is compatible with All Qi-Enabled Phones and Apple Watches and it even comes with a convenient cable cutout and insert in-order to prevent the cable from overly bending which helps to keep everything organized when charging your smart-devices. 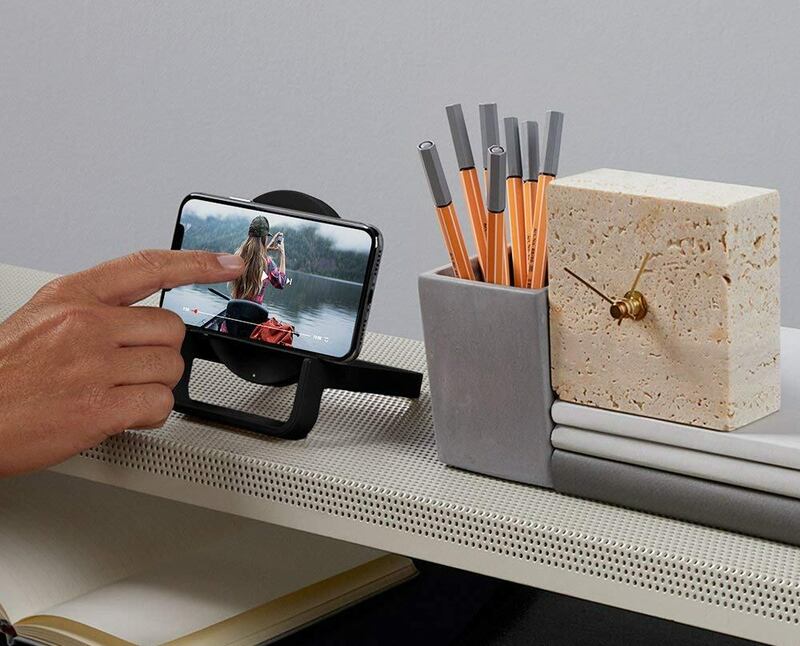 2-in-1 Smartphone & apple iWatch charging-Stand. It is very easy to place and convenient to use. It is compatible with all Qi-Enabled Smartphones. It features 2 fast charging coils for faster charging. It facilitates for both vertical & horizontal charging. Can be used on all versions of the Apple Watch & iPhone. Convenient cable cutout and insert to prevent cable from overly bending. Made of high quality aluminium for maximum durability even with daily use. It features an anti-slide, stable and fashionable design for optimum safety of your device. Features excellent handcraft with a smooth texture so that it doesn’t scratch your phone or Apple watch. 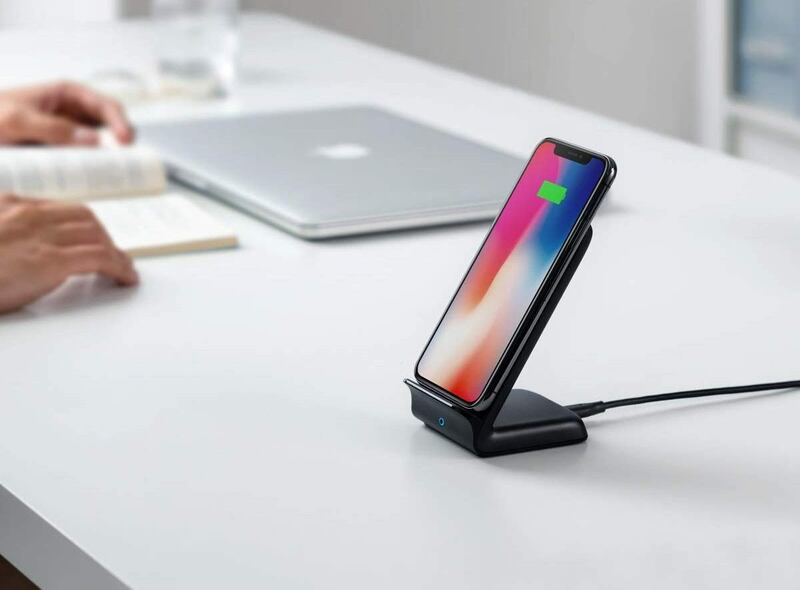 The Belkin is a Boost-Up Wireless Charging Stand designed to offer optimum wireless charging for iPhones and android Smartphones. 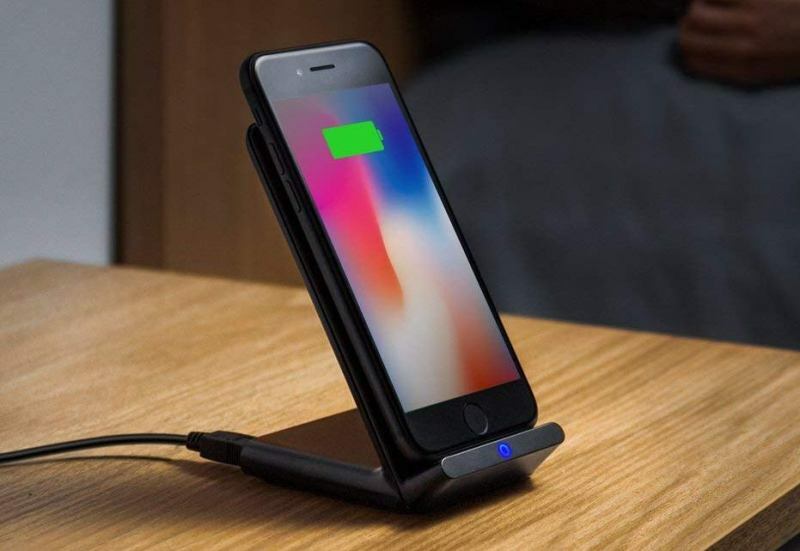 In fact, this wireless-charging-stand can provide up to 10-watts of charging power in-order to optimally charge any Qi-enabled Smartphone faster than any other wireless charger. On top of that, the Belkin features a soft LED light that indicates when your Smartphone is correctly aligned on the stand and charging and this light is designed not disrupt your atmosphere or interfere with your sleep and it will even show a white-light when your device has been charged to a maximum-level. On the other hand, the LED-light on this wireless-charger can alert you about foreign objects like; keys or coins which can greatly affect charging. In fact, the foreign object detection (FOD) technology helps to prevent the charger from emitting unnecessary power and heat that could damage your Smartphone and other heat-sensitive items. 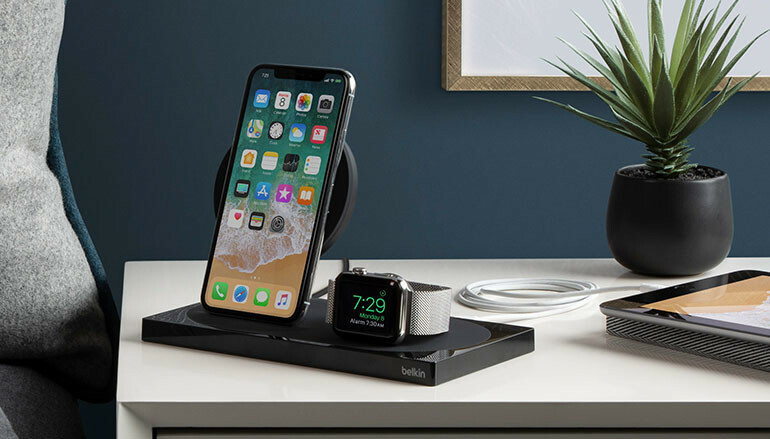 Likewise, the Belkin features sleek design and thoughtful design which makes it easy to align your device for optimized wireless charging in either landscape or portrait mode while its premium shielding and precision resistors help to minimize on interference and protect Smartphone functionality while charging. Lastly, this wireless-charger-stand is compatible with all Qi-enabled Smartphones. It’s a Boost Up Wireless Charging Stand. It can charge in either portrait or landscape mode. A Sleek design and thoughtful design for long-lasting use. Delivers the fastest charging-speed to any Qi-enabled Smartphone. Premium shielding and precision resistors that minimize interference. Foreign object detection (FOD) which prevents the charger from emitting unnecessary power and heat. Fastest charging speed for Apple iPhone at 7.5W, Samsung at 9W and all other Qi-enabled devices up to 10W. It includes an AC adapter with 5-foot cord and has passed the ISO (International Organization for Standardization) requirements. 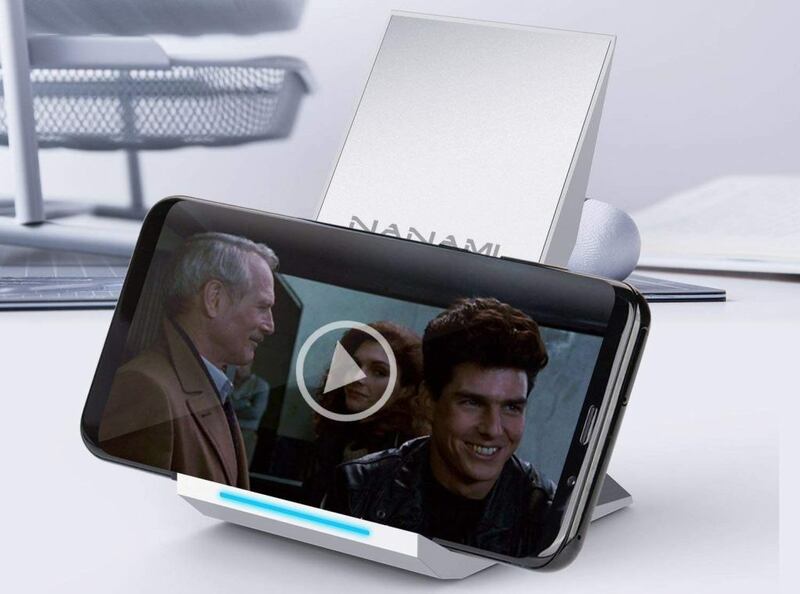 The NANAMI is a Qi Certified Wireless Charging Stand for iPhone and all other android Smartphones that are Qi-Enabled in-order to facilitate for faster and convenient charging at all times. In fact, this wireless-charging-stand 2 built-in coils that provide a 1.4-times faster charge compared to other standard wireless chargers coupled with providing a much wider charging area. 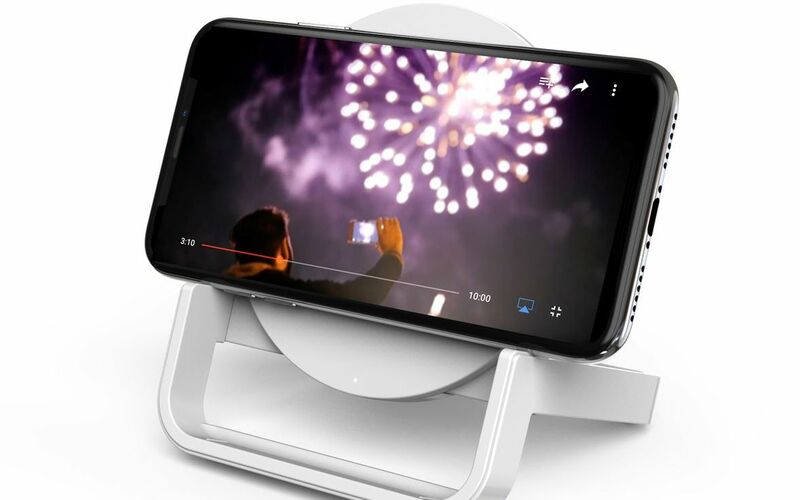 Additionally, this Quick Charge 2.0 wireless charging stand will juice up your compatible device from dead to full in a short amount of time while its unique sailing design allows for charging the phone either vertically or horizontally so that you can continue enjoying movies without any interruptions when charging. 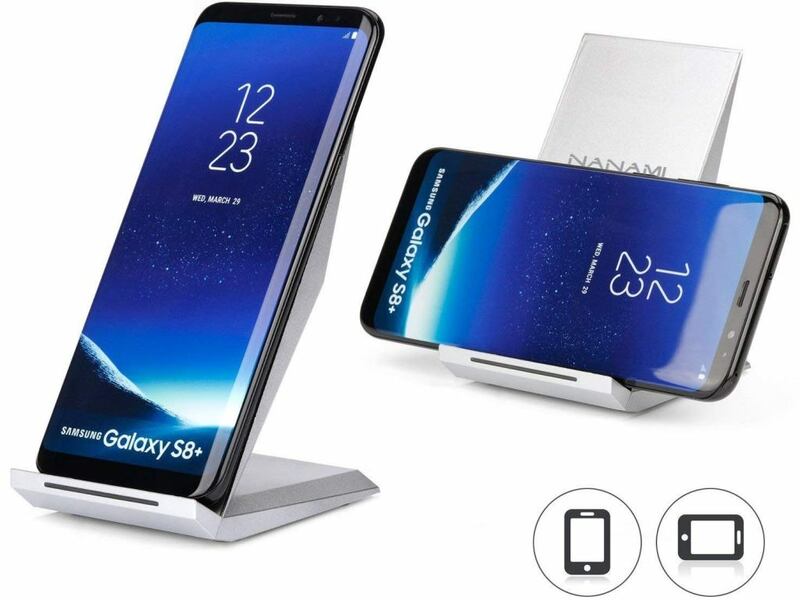 On the other hand, the NANAMI Wireless Charging Stand features an over charging and over temperature protection setting that never overcharges your battery or waste energy while the integrated multi-colored LED lights help to indicate the charging status when charging and also detects any foreign metal objects near the phone. Lastly, this wireless-charger features 4 anti-slip rubber feet at the bottom that ensure maximum stability and safety of your phone and it can also charge phones with cases not thick than 5mm. It’s a Fast Wireless Charger for Smartphones. It features 2-coils that ensure a 1.4-times faster charging. It supports charging in most phone cases not thick than 5mm. An ergonomic & unique sailing design for convenient charging. It will help you answer a call without having to unplug the phone. It features 4 anti-slip rubber feet at the bottom to ensure stability. It can charge your phone vertically or horizontally without any interruption. It can juice up your compatible device from dead to full in a short amount of time. It feature 2 wireless charging modes of; Fast Charge Mode & Standard Charge Mode. Features an over-charging and over temperature-protection setting that prevents overcharging & energy-waste. Multi-colored LED lights for indicating the charging status & detection of foreign metal objects near the phone. All the featured wireless charging stands are designed to charge all Qi-enabled Smartphones faster and conveniently in 2019. 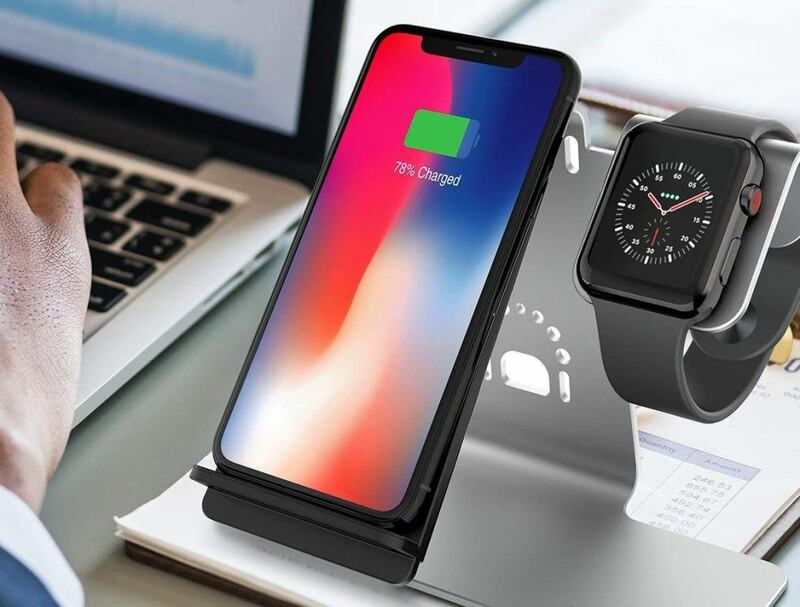 In fact, all these wireless-chargers are made of very durable-materials and even feature LED-light indicators that help to show the charging status and even detect any foreign metal objects around the Smartphone in-order to prevent interference when charging.